A double betrayal decades apart leaves a family at odds and siblings in rivalry. In the favorite son's quest to restore his father's honor, he is left behind on foreign soil -- the victim of a different war, the victim of the same betrayer. Adrienne Winters, twenty-eight, daughter and sister to the men betrayed, steps into a game of intrigue involving terrorist ties to the Kuwaiti resistance in the Gulf War, a terrorist cell in Paris, her brother's deception, and her country's cover-up. Her pursuit takes her through the streets of Paris to the American Embassy and on to the sand dunes in Kuwait in search of the Kuwaiti family and Kuwait resistance fighters who counted her brother as friend and protector during the invasion. The novel is current with today's headlines, drawing from the backdrop of the terrorist attack on the Pentagon to link the past with the present. 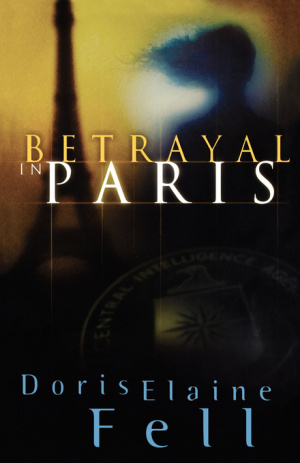 Betrayal in Paris by Doris Elaine Fell was published by Howard Books in July 2003. The ISBN for Betrayal in Paris is 9781582293141. Be the first to review Betrayal in Paris! Got a question? No problem! Just click here to ask us about Betrayal in Paris.